It is important to implement IT in the business of airlines services. 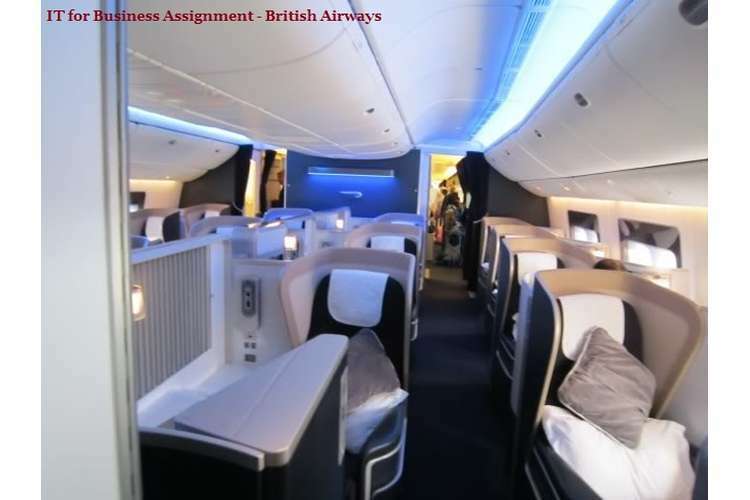 The assignment deals with the need and importance of IT in the business of British Airways.The requirements for applying IT in British Airways and the process of using IT properly are also explained in airline assignment. Several advantages are there for applying IT in the business of british airways. The process of maintaining and monitoring IT in British Airways and risks involved in it are also described in the IT for business assignment - British Airways. Finally, recommendations have been given for improving IT in British Airways in order to get maximum benefits. Arjomandi and Seufert (2014) said that there are so many factors and issues that makes a business successful. Information technology is one of the key factor among them. IT in airline business of British Airways refers to select the appropriate technology, proper use of resources, make a proper communication and accurate analysis of future vision and benefits as well. There are several issue arise for having traditional approach in many of departments of British Airways. The development in IT make it an non alternative choice to get selected for making proper analysis of the objective of british airways, making analysis of current benefits as well as future revenue for the company. In addition, British Airways need to implement IT in their business in order to make great and fruitful communication with its customers and within the organisation as well. Czerny and Zhang (2014) stated that the rapid growth of information technology make the ticketing system so easy to access. So it is very much required to implement IT in the business of British Airways to sustain and retain a good position in the market. The rapid growth of airlines companies in United Kingdom make a competition for British Airways to survive in the market of airlines. Information technology make the business of an organisation to survive in the business. As customer support and their satisfaction is one of the major issue to survive in the airline business of British Airways, every airline company needs to focus on this segment. The latest technology used in information technology can help british airways to provide higher level of customer satisfaction and survive in the business. Escobari (2014) mentioned that resource management acts an important role for the survival in the business of British Airways. 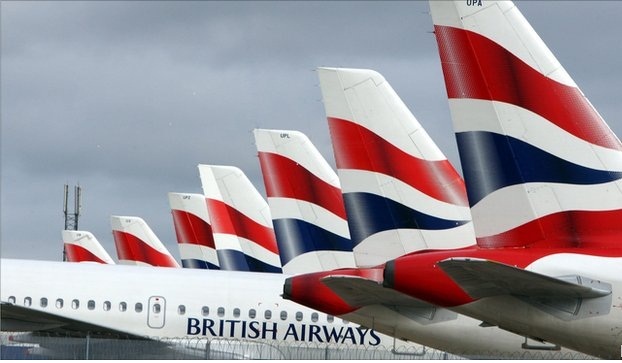 As British Airways is one of the largest airlines in United Kingdom, the management of British Airways face difficulties to manage the resources properly. Information technology plays a crucial role in automating complex issues such as management of tangible, human and financial resources of British Airways. Internet and cloud technology help the software engineers of british airways to make the introduction of cloud based enterprise resource solution which will help the company to manage the resources properly and survive in the business of airlines. There are so many requirements to apply IT in the business of British Airways. Asinformation technology includes that need knowledge of the particular technology, British Airways need to deploy more number of skilled employees who have sound knowledge in information technology. Atkinson (2013) commented that the application of IT is not very easy in airline sector. So it is also important to have experienced personnel for development of business using IT approaches and technologies as well. In addition, the rapid growth of information technology need to adopt the technology in more number of employees present in the organization. They need to know how to handle the automatic system that helps to solve critical problems such as decision making tools. The management of British Airways need to deploy ne system that are capable of handling latest software which makes the ticketing systems so easy to access for the passengers for the passengers of British Airways. Christiansen et al. (2013) said that information technology is an integral part of airline business. It deals with the proper communication with the passengers, make the ticketing system easy and help to store the data of the passengers of British Airways. Several software and applications of IT make British Airways more preferable choice compared to others. The latest android and windows applications are useful to access the scheduling, rescheduling of the flights. It also helps the passengers to book the ticket and cancel as well. Bryfonski (2012) said that the latest information technology helps to stay up to date. British Airways can send information to the passengers regarding the journey and offers of booking flights. Furthermore, one of the most useful point of using IT in process of automation. Airline business necessarily requires communication as well as operation. The latest software used in British Airways help them also to make communication with the flights and update the latest data that can help to have more security. Erooga (2012) stated that the success of all business depends on some specific factors. Information technology provides British Airways scope to analyse the particular data regarding the business and plan the business according to that. IT also gives British Airways many tools that can be useful to solve complicated problems and make plan of the scalability of the organization. Digitalized marketing like online ticket booking of British Airways is a great tool by which british airways can have benefits in local as well as global market of airlines. Modern mode of making communication with the customers such as email, online chat provides solution instantly. It helps to attract more number of passengers to British Airways. Kilic et al. (2014) said that cloud computing help British Airways to reduce the problem regarding saving of the data of the passengers and access the data anywhere in the world. It also helps the business to have decision properly. As speed and accuracy are the major part of making right decisions in any kind of business organization like british airways, IT helps British Airways to do it. Several tools and techniques used in IT help British Airways to take the decisions that provide the company a competitive advantage. Escobari and Jindapon (2014) said that risks are inevitable part for applying any new technology in business. Failure of hardware and software are the most vital risk of using information technology in British Airways. Abnormal shutdown of the systems and breakdown of server can make a great problem for the passengers of British Airways which can be costly loss for the company. In addition, malware and virus are the threats that might lead to hacking of the website of British Airways, misuse and access the confidential data of British Airways. It can hamper also the transaction of the booking tickets of the passengers of British Airways. In addition, spams, scams and phishing may affect the data in email and can manipulate as well. It can misuse the personal data of the passengers that are saved in the database of British Airways. Plaisier et al. (2014) stated that maintaining and monitoring of IT is essential part of an airline business. Several approaches and technologies are used for maintaining IT in British Airways. The management has to focus on the infrastructure of British Airways at first. Experience and responsible employees are deployed to monitor the IT system in the business of British Airways. In addition, software are used to monitor the system as well intelligent programs are deployed in the systems of British Airways that automatically maintain the whole process. They can produce current need of the system, inform the personnel. It eliminates manual monitoring system and produce accurate result. In the context of maintaining the IT system, recent computer has to be brought, latest softwares are used for monitoring the entire IT system (Eun-Song and Daecheol, 2014). As information technology is an important part of survival and success in the business of British Airways, it is needed to upgrade the technology to sustain in the business of airlines. In order to improve IT in the business of British Airways, some steps can be taken. The management of British Airways has to deploy more number of skilled employees who can easily handle the operations regarding IT in the business of British Airways. Every computers and servers should have UPS to avoid shutdown at the time of power off. There should be additional accessing of a server if they fail to perform for a while. Softwares and website should be more protected with proper and latest protocol and installing anti virus as well. As information technology is essential to have in airline business, British Airways need to focus to improve IT in their business. In order to improve IT in business, more number of IT professionals have to be deployed. New computers with latest software have to be installed . Overall, the staffs of British Airways should adopt new technology as early as possible to get the maximum profit in the business. Atkinson, S. (2013). The business book.London: Routledge. Christiansen, B., Yildiz, S. and Yildiz, E. (2013). Handbook of research on effective use of technology in business. New York: Palm Grave Press. Bryfonski, D. (2012). The global impact of social media. Detroit, MI: Greenhaven Press. Erooga, M. (2012). Creating safer organisations. Chichester, West Sussex: Wiley. Arjomandi, A. and Seufert, J. (2014). An evaluation of the world's major airlines' technical and environmental performance. Economic Modelling, 41(4), pp.133-144. Czerny, A. and Zhang, A. (2014). Airport congestion pricing when airlines price discriminate.Transportation Research Part B: Methodological, 65(3), pp.77-89. Escobari, D. (2014). Estimating dynamic demand for airlines. Economics Letters, 124(1), pp.26-29. Escobari, D. and Jindapon, P. (2014). Price discrimination through refund contracts in airlines.International Journal of Industrial Organization, 34(5), pp.1-8. Plaisier, I., Broese van Groenou, M. and Keuzenkamp, S. (2014). Combining work and informal care: the importance of caring organisations. Human Resource Management Journal, 25(2), pp.267-280. Eun-Song Bae, and Daecheol Kim, (2014). Service Quality Improvement for Airlines by Utilizing QFD and Fuzzy Theory. Productivity Review, 28(1), pp.75-98. Kilic, H., Zaim, S. and Delen, D. (2014). Development of a hybrid methodology for ERP system selection: The case of Turkish Airlines. Decision Support Systems, 66, pp.82-92.